I kept shuffling around something like 30 movies trying to make this list, so I needed to find a technique to help me sort through everything. What I decided to go with was the CineFix list style, where I sorted movies into categories, picked a winner among them, then put 10 categories roughly in order. Full disclosure, it didn’t really work that well for me, but I think it’s something I’ll try again come best of the decade time. I wanted to start my list with the good movies that just felt a little shy of great. Memorable, entertaining films that succeed despite either one glaring flaw or a few minor problems. I would put BlackKklansman in that category, because of my problems with its tone, and Bad Times at the El Royale, which could have used a little more substance to go with all that style. Maybe even You Were Never Really Here, which was impressive but also off-putting and bizarre. Ultimately, the obvious choice for this category was Annihilation, the haunting sci fi thriller about how cancer is inevitable. It’s not perfect, but it’s all those things I was talking about at the start of this paragraph. I won’t soon forget the wall tumors, plant people, and especially that bear. I was going to do this whole bit about how 2018 was the year of the environment in cinema, like how I called last year the year of the mom. 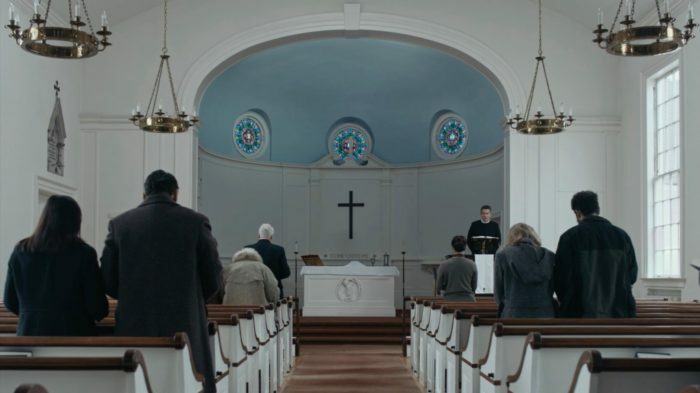 Ultimately, I decided that would be a bit of a stretch, but had I gone that way, First Reformed would have been my vanguard. Because while other contenders in this category, like Leave No Trace, use the wilds to better understand its characters, First Reformed uses its characters to better understand the world. I imagine critics will be unpacking that ending for years to come, but for me the highlight was the early sparring between Ethan Hawke and Philip Ettinger as they debate the morality of bringing a child into a doomed world. It all hinges on one question: can you really prove we’re doomed? One of the joys of The Good Place, my fourth favorite show of 2018, is that you really can’t predict where it’s going. There were a few other unpredictable movies last year, like the big twists in Shoplifters and the documentaries Three Identical Strangers and Shirkers, but nothing could touch Sorry to Bother You. This movie pulled the rug out from under me probably three or four times over its runtime. What seemed like a satire about race becomes one about class and then society and then… humanity? I’m 100% all in on where this movie goes and the risks that it takes. So much so that just remembering it makes me want to love it even more than I already do, I should probably watch it again. My seven spot goes to movies about brutal realities. I’m talking about The Rider, Can You Ever Forgive Me?, and to some extent The Ballad of Buster Scruggs, although Coen brothers dark isn’t exactly reality. 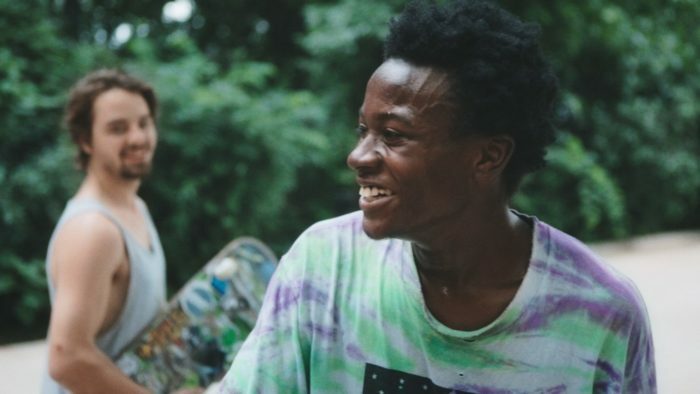 My favorite of them all, though, is Minding the Gap, a documentary that evolved from a skateboarding video into a deeply moving, upsetting, invigorating portrait of manhood and the lingering effects of abuse. Like The Rider, Minding the Gap occasionally unburdens its heavy story by letting its characters go for a ride, which seems transcendent and liberating. If nothing else, this movie made me get why some people would keep skateboarding, even though it hurts them every time they fall. So yes, I had to have a super hero spot. Could you blame me? 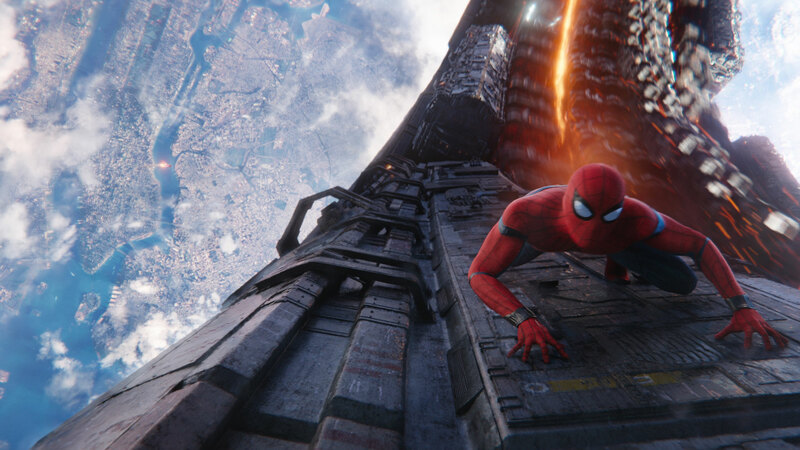 I liked all the super hero movies that came out last year: Black Panther had the best setting and villain of any Marvel movie, Ant Man and the Wasp was lighthearted fun, Incredibles 2 had truly spectacular action sequences, Spider-Man: Into the Spider-Verse is maybe the best Spider-Man movie, and Aquaman was remarkably ambitious. That said, none of them were as impressive as Avengers: Infinity War, the biggest movie of all time. I don’t know why people seem to actually think Thanos is right, but for a villain that was built up over six years, he turned out surprisingly well as this movie’s sort-of protagonist. With this movie, the Russos made the best Marvel trilogy by a long shot and now I can’t wait to see them bring it home in Endgame. Ah yes, Colin’s patented “men directing women” section. There’s too many good ones to count, but shout out to The Favourite, which I really would have liked to have found a space for somewhere on this list. But Eighth Grade man, I’m almost annoyed how good it is, given its pedigree as the first feature from YouTuber turned stand up turned writer-director Bo Burnham. The thing is, he nailed the visceral experience of being thirteen, did an amazing job making social media feel like a natural and real part of both life and visual storytelling, and never shied away from truly uncomfortable situations that you might not always see in a coming of age movie. Also the bit where they show Kayla’s crush in slow-mo with the pounding club beat any time she sees him is the funniest thing anyone did last year. Biopics were easy to talk about this year, because I skipped the big two that everyone cares about, Green Book and Bohemian Rhapsody. That just leaves a few movies I’ve already mentioned, BlacKkKlansman, Can You Ever Forgive Me?, and Won’t You Be My Neighbor? which is an actual documentary. I didn’t like any of those nearly as much as First Man, Damien Chazelle’s underrated portrait of Neil Armstrong. There aren’t a ton of great movies about the space race, immediately only The Right Stuff and Apollo 13 come to mind, and neither of them have the raw intensity that this movie does. Yes, Armstrong is cold and distant, but a mountain of grief will do that to you. Also, look, people that can work out physics problem while spiraling around in what is basically a cramped, rickety bomb a few miles off the ground are bound to be at least a little quirky. Foreign language films are another super easy group for me, since I only saw two really good movies, Shoplifters, and my pick, Roma. Sorry Cold War, you weren’t out here yet! I went into Roma pretty skeptical because I knew there was a lot of hype and I felt a bit silly seeing it in theaters. But it wore me down fairly quickly and by that ending I was, you know, in love or whatever. I keep wanting to write the word “visceral” as I get through these blurbs, so maybe this was a year I was particularly drawn to films that really grab the view and hold onto them and say this is important, feel this. Roma did that, and it also made me want to do that thing the guy does where he stands on one leg and puts his arms together. Animation! Again, the two animated super hero movies I’ve already talked about were in play, but they were soundly outmatched by Wes Anderson’s best stop motion film. I’m not sure it was possible for me to not at least like this movie, given the triple threat of a Japanese setting, dogs, and Wes Anderson, but Isle of Dogs nonetheless exceeded my expectations. Unlike Fantastic Mr. Fox, Anderson portrays these canines as animals, not furry people, who eat garbage and puke and fight and love their humans. It’s that depiction of the universally understood bond between dogs and people that impressed me the most about this goofy, gorgeous movie. Which is also surprising since Wes Anderson movies historically have had a surprisingly high dog kill count. I love dogs. When The Force Awakens came out, it was the first time I let myself put the fun movie at number one. Before that, I always picked a film that I felt I could also make the case was actually the “best” movie of the year, even though I usually write in my preamble that there’s no such thing. I mean hell, for a while I wouldn’t even put Fast and Furious movies in my top 10, and I love those dumb meatballs. And it’s not like I’m not already the “action movie guy” out of the three of us still posting on this blog anyway, so what have I got to lose? So yes, Mission: Impossible – Fallout is the most fun movie of 2018. I saw it three times last year, which I think ties the most I’ve ever seen a movie the year it came out. I dare you to name something more emblimatic about going to the theater last year than that Imagine Dragons trailer. 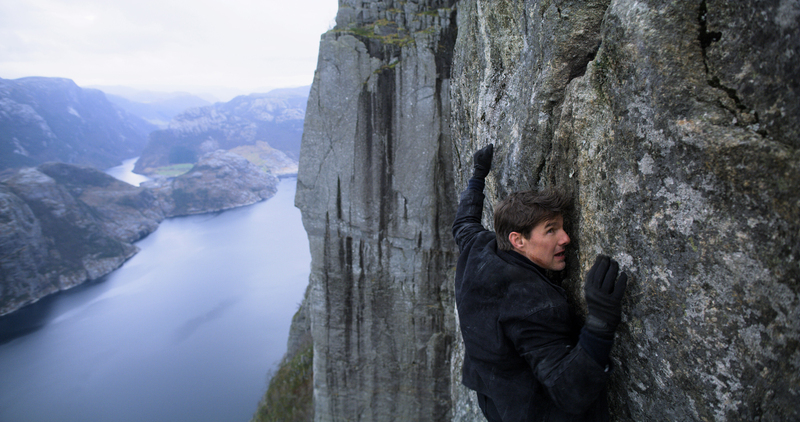 Fallout does so many ridiculous things you would almost become numb to the madness if it wasn’t for writer-director Chris McQuarrie’s dedication to showing everything is real, Tom Cruise truly does want to die on a film set. But you already know about the stunts, so I’d like to instead praise that one scene in the secret bunker in London, with the masks and twists and the Alec Baldwin acting masterclass. That felt like McQuarrie wanting to get all the spy stuff out of the way in one scene so it could just be action for the rest of the movie, which should be bad but instead is a joyous, ridiculous rush. This is top tier action filmmaking, pay attention everyone else.